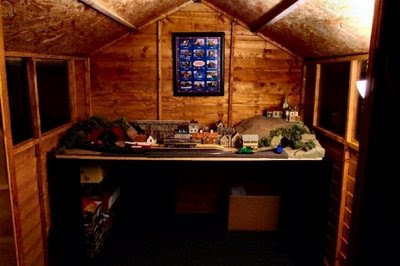 The shed is finished (well, it needs a coat of paint, but that's all), and the trainset has a new home. 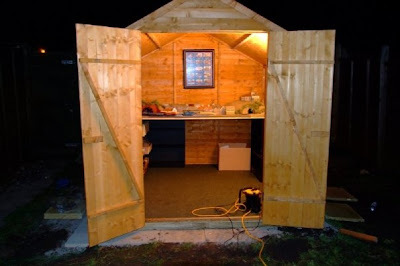 This is great and frees up the spare room so that it can be converted in to a nursery for the twins. 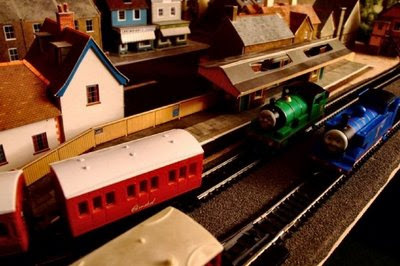 There is still plenty of work to do on the trainset, but... well... see for yourselves. 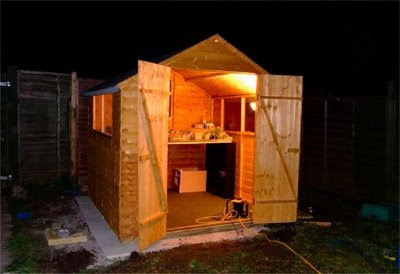 Work has finally commenced on Kieran's shed. With the birth of the twins just 23 weeks away (assuming that they arrive on time) I figured it was time to finally start work so that we can clear Kieran's trainset out of the spare and get to work converting it in to a nursery (or a new bedroom for Kieran - whichever we finally decide on). 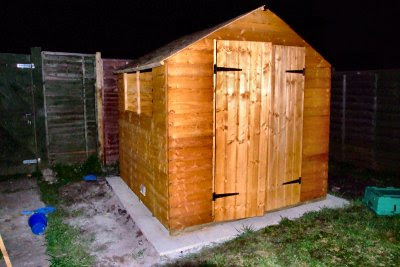 Not bad considering I am totally crap at DIY. 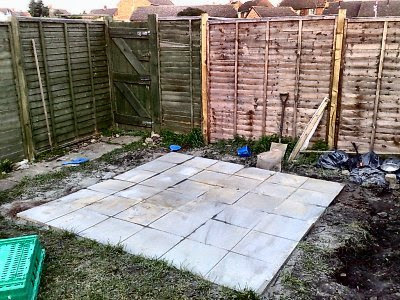 I did the cementing and laying the paving slabs on my own yesterday, and had some help from a neighbour with the shed. We finished tonight at 8.00pm, and hope to finish it all tomorrow. 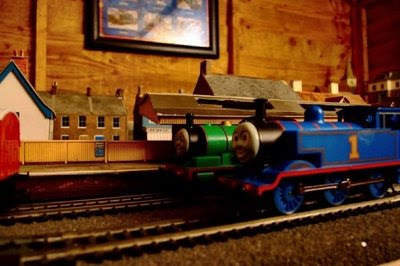 Kieran is so excited and can not wait to play with his trainset inside it.